Attorney General Matt Denn created the Office of Civil Rights and Public Trust in January 2015 to provide legal firepower to ensure that these important issues are addressed and to provide a point of contact for members of the public. 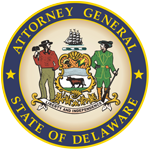 Attorney General Denn charged the new office with protecting individual rights and liberties of Delawareans, enforcement of laws designed to ensure citizen trust in government, and conducting investigations where the Department of Justice’s other responsibilities might present the appearance of a conflict of interest. The Office can be reached via email at publictrust@delaware.gov or by calling 302-577-5400. 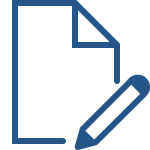 Delawareans wishing to file a complaint with the office MUST fill out the complaint form and include all relevant information and contact information. The complaint form will automatically be sent to the Office of Civil Rights and Public Trust. Please note that the Office of Civil Rights and Public Trust cannot provide individual legal advice and in some instances, hiring a private attorney may be necessary. Enforcement of Delaware laws protecting the individual rights and liberties of Delawareans, including but not limited to rights secured by the Delaware and United States constitutions, Delaware’s public accommodations laws, housing discrimination laws, employment discrimination laws, and laws protecting the educational rights of children and the rights of Delawareans with disabilities. Enforcement of laws designed to ensure citizen trust in government, including election laws, laws governing the use of public funds, and laws governing the conduct of public employees and officials. In these areas, the office will work collaboratively with the Elections Commissioner, Public Integrity Commission and State Auditor. Investigations where the Department of Justice’s other responsibilities might present the appearance of a conflict, such as investigations of use of force by law enforcement officers and investigations of deaths or near-deaths of children under state supervision. Investigation of law enforcement officer involved shootings. The investigations determine whether a law enforcement officer’s use of force constitutes a criminal act. The investigations do not establish or enforce internal police policies concerning the proper use of force by law enforcement officers. Law enforcement agencies are responsible for establishing and enforcing guidelines for the use of force by their officers and for determining whether an officer’s actions were consistent with such guidelines in a given case. View available reports. Before filing a complaint, please read these Frequently Asked Questions thoroughly to ensure your complaint falls under the jurisdiction of the Office of Civil Rights and Public Trust. Delawareans wishing to file a complaint with the office MUST FILL out this complaint form and include all relevant information and contact information. The complaint form will automatically be sent to the Office of Civil Rights and Public Trust. Once you file a complaint, you will receive an e-mail from a member of the Office of Civil Rights and Public Trust acknowledging receipt of the complaint form. Your complaint will be reviewed and evaluated by our attorneys to determine whether a sufficient basis exists for action by the Attorney General. We will review the matter as expeditiously as possible; however, please be aware that complainants are not notified of progress regarding their complaint or the status of the complaint, as it could interfere with the law enforcement process. In order to resolve your complaint, we may also send a copy of your letter to the individual, agency or municipality you are complaining about. Please understand that by filing a complaint with this Office you have NOT initiated a lawsuit or a proceeding, nor has this Office initiated a lawsuit or a proceeding on your behalf. This Office cannot provide individual legal advice, and, in some instances, hiring a private attorney may be necessary. The Delaware State Bar Association can provide you with referrals. A member of the Office of Civil Rights and Public Trust will contact you after our review is completed and a determination on the appropriate course of action is made. 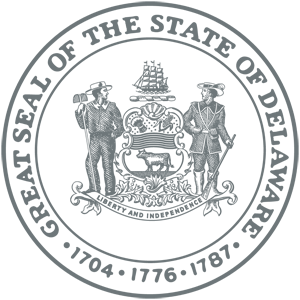 The Delaware Department of Justice’s Actual Innocence Program is designed to ensure that DOJ is aware of, and takes corrective action with respect to, persons who are incarcerated where empirical evidence establishes their innocence. Part of DOJ’s commitment to doing justice is ensuring that people who are not guilty of crimes do not suffer criminal sanctions. DOJ’s Actual Innocence Program is not designed to take the place of existing processes in Delaware such as the constitutionally established clemency process through the Board of Pardons.